In an action packed doubled headliner bout, the Belters took on Hot Wheel Roller Derby from West Yorkshire and Tyne and Fear took on Lincolnshire Rolling Thunder. With some solid walls and hard hitting blockers, HWRD took the win over the Belters 303-53 in a hard fought game. The Belters never gave up and give as good as they got though! Well done Hotties. 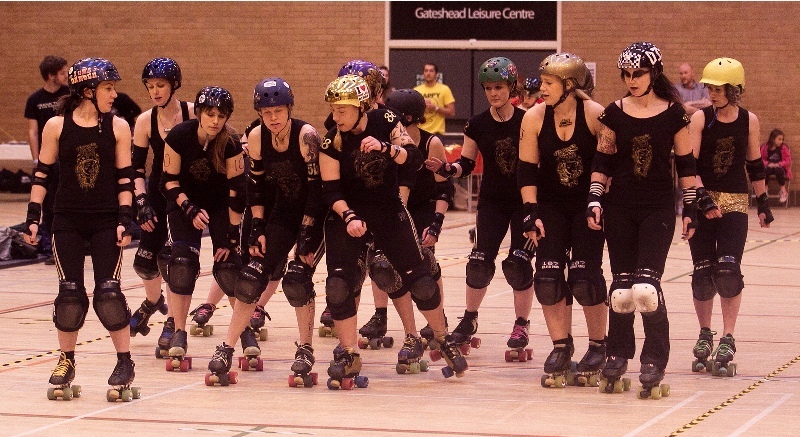 Tyne and Fear and Lincolnshire Rolling Thunder both went into this game undefeated in full length bouts. Tyne and Fear only previously having been beaten at Euro Men’s Champs over the summer. Lincolnshire took the win 214-172 in a super close game.